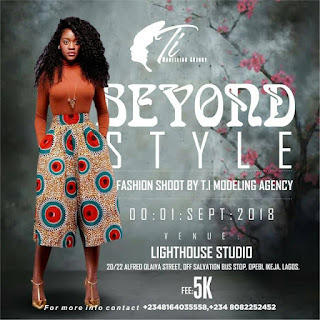 Beyond style is fashion shoot for both aspiring and existing models who are passionate about making a fashion statement. 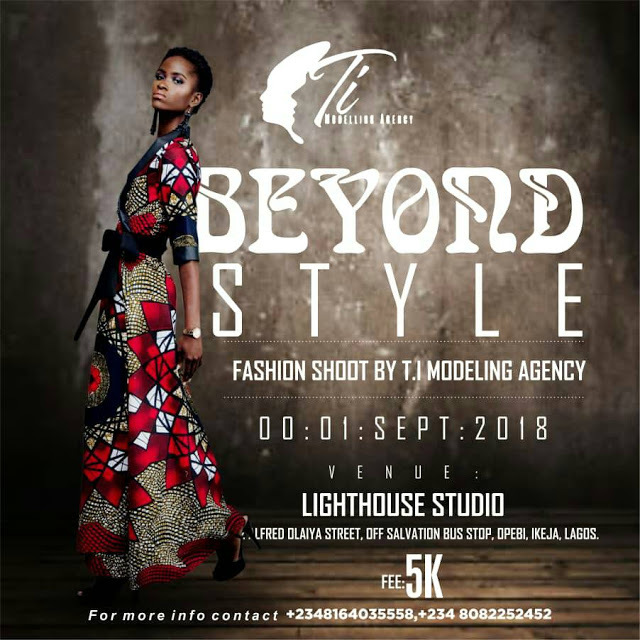 Models are expected to come up with a unique style of fashion that suits his or her personality. 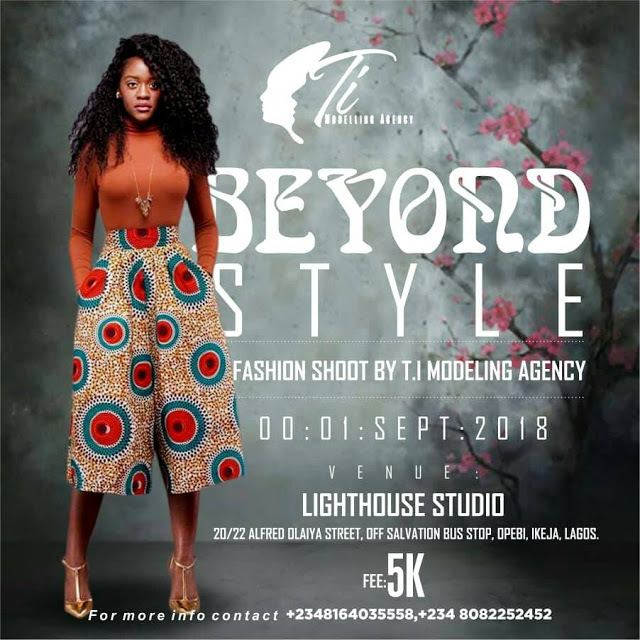 Models must be creative with the costumes to show case. We will be working with a couple of photographers, make up artist and fashion designers. The shooting will be outdoor. Free Polaroid session will be available. VENUE : Lighthouse studio, 20/22 Alfred olaiya street, off salvation bus stop, opebi, Ikeja, Lagos.